Values of the CDF Φ(z) = Pr(Z ≤ z) correspond to areas under the PDF. These can be looked up in a standard normal table. The table only lists values Φ(z) for positive z, but consider the following exhibit. Exhibit s1: The desired probability Φ(–.51) = Pr(X ≤ –.51) equals the area of the indicated shaded region in the left chart. By symmetry, that area equals the area indicated in the right chart, which equals 1 – Φ(.51). A standard normal table provides a value for Φ(.51). 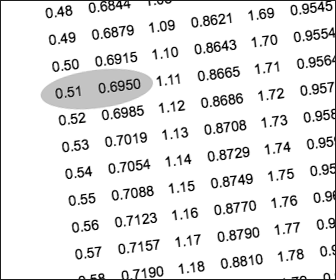 Exhibit s2: The value Φ(0.51) = 0.6950 can be obtained from a standard normal table.